A good bowling performance helped Sri Lanka set up a 216-run chase, but the batters failed to come good, folding for 107. 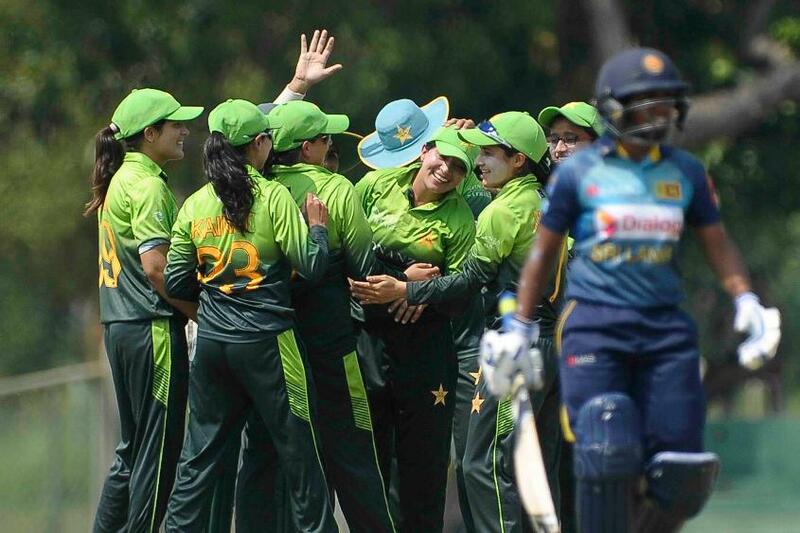 The Pakistan bowling attack, led by Sana Mir and Nashra Sandhu, rattled Sri Lanka in the third and final match of the ICC World Championship one-day international series to help Pakistan complete a 3-0 sweep with a 108-run win in Dambulla. 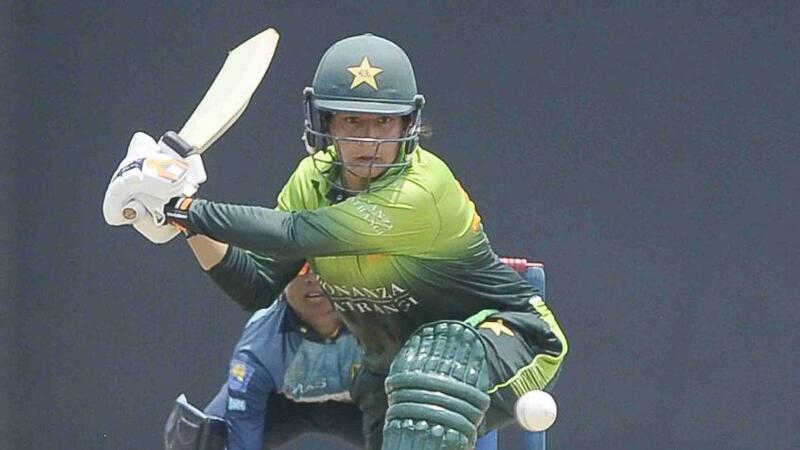 Pakistan posted 215/9 on the back of a steady Nahida Khan innings from the top and useful contributions from Javeria Khan, Bismah Maroof, Sidra Ameen and Nida Dar, which was followed by a brilliant bowling show that shot Sri Lanka out for 107 in 41.3 overs. Mir was the pick of the Pakistan bowlers, finishing with 4/27, while Sandhu ended with 3/18. Chasing 216, Nipuni Hansika and Chamari Polgampola, Sri Lanka’s openers, added 49 runs for the first wicket in 13 overs. It was slow going, but steady on the whole. Polgampola was the first to fall, for 10 in 40 balls, to Sandhu off the first ball of the 14th over. From 49/1, Sri Lanka slipped to 49/4 in no time. Mir sparked the collapse. She first had the scalp of Hansika, who fell after top scoring for her side with 35, which she brought up in 40 balls. And then Mir sent Rebeca Vandort back for a duck. The next over saw the dismissal of Chamari Athapaththu, who went back to the pavilion without opening her account, caught and bowled by Sandhu. Wickets kept falling at an alarming rate as Mir came back into the attack and added two more to her tally – trapping Shashikala Siriwardena lbw for just 3 and then Hasini Perera for 8. Prasadani Weerakkody (15) and Sugandika Kumari (18*) were the other two batters who scored in double-digits, while the rest of the line-up just fell in a heap. Earlier, after opting to bat, Pakistan lost their first wicket early when Kumari clean bowled Muneeba Ali for 19. Nahida then joined hands with Javeria Khan to forge a 63-run stand for the second wicket. Their association was broken when Siriwardena had Javeria caught for a 45-ball 30 by Kumari. Nahida looked steady in her approach and continued to keep the scoreboard moving. But her innings came to end when she was trapped in front by Inoka Ranaweera. Nahida scored 46 in 76 balls, hitting five of them for fours. It was the top score of the innings. Pakistan were on 129/3 and they needed their middle-order to step up. Maroof (26), Ameen (21), Dar (20) and Mir (16) did exactly what they were asked to, and took the team’s total past the 200 mark, which proved to be more than enough on the day.